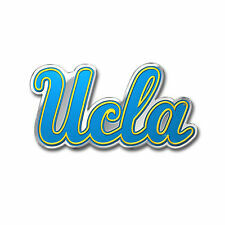 LOS ANGELES -- UCLA won its first three games under interim coach Murry Bartow with Chris Smith in the starting lineup. Having lost four of its last five, Bartow decided to put Smith back in the rotation. Smith scored the go-ahead basket with 21 seconds left on a desperate bank shot after UCLA blew a 12-point second-half lead, and the Bruins hung on for a 68-67 victory over Oregon State on Thursday night. "We wanted a more skilled guy at the 4," Bartow said. "We just thought we needed a little bit of a change, not just in the starting lineup but who we were playing." Tres Tinkle airballed a potential game-winning 3-pointer with 1.8 seconds to go for the Beavers, who didn't take their first lead until 1:26 remaining in the game. "We were just kind of out of sorts," Stephen Thompson Jr. said of Oregon State's last play. "We weren't in the right positions." Moses Brown had 14 points and 11 rebounds for the Bruins (14-13, 7-7 Pac-12), who got back to .500 in league play with a handful of regular-season games remaining. "This season has been like a war of attrition," Smith said. "We've been down more than we've been up. It really feels good to get a win. Everybody knows in the back of their head we've got a lot to do. We got to get better." Jaylen Hands added 12 points, but missed a pair of free throws in the final second with UCLA clinging to a one-point lead. Thompson scored 21 points and Tinkle added 19 for Oregon State (16-9, 8-5), which fell into a second-place tie with idle Arizona State and Utah in the league standings. The Beavers' two-game winning streak ended. "We outscored them 40-26 in the paint yet it's a 28-3 advantage at the free throw line," Beavers coach Wayne Tinkle said. "Maybe it's our fault not going to the rim enough." After UCLA led by 12 early in the second half it became a back-and-forth game over the final 4:19. The Bruins' shooting dipped to 35 percent from the field in the final 20 minutes after they shot 50 percent in the first half. "We didn't really play that well in the second half and we've got to fix all those things," Smith said. "We know we can do better than what we just did." The Beavers twice got within one point before they tied it 65-all on a 3-pointer by Antoine Vernon, his first basket of the game. Thompson's layup gave Oregon State its first lead of the game, 67-65. Hands made 1 of 2 free throws to get UCLA to 67-66. After Tinkle missed a 3-pointer, Smith put up an out-of-control shot that banked in with Thompson guarding him closely. Smith got fouled and missed the free throw. The Bruins were 1 of 4 from the line in the final 1:13. "I looked up and it was just me and Thompson and I figured just attack," Smith said. Oregon State closed to 61-60 on Thompson's basket, capping a 16-6 spurt that included 3-pointers by Zach Reichle and Thompson. Tinkle's inside basket again drew the Beavers within one before Vernon's 3-pointer tied it. UCLA starting guard Prince Ali missed his first game of the season because of plantar fasciitis in his left foot. The junior guard who averages 9.6 points is day-to-day. Freshman David Singleton earned his first start in place of Ali, who scored eight points. Oregon State: The loss kept the Beavers from sweeping UCLA for the first time since 1987-88. UCLA: The Bruins played a close game for the third time in their last four, coming away with two wins and a one-point loss. They have four regular-season games remaining, three against teams that are above them in the Pac-12 standings. Brown was 5 of 16 from the free-throw line last weekend in the Bay Area, where UCLA split its games. He made 4 of 5 against the Beavers, saying the improvement was due to "focus and repetition. Just trying to maximize my possessions." Bartow credited Brown for putting in extra work on his own to change his technique. Oregon State: Visits Southern California on Saturday. UCLA: Hosts Oregon on Saturday and goes for a season sweep.